Costello: Now I throw the ball to first base, whoever it is drops the ball, so the guy runs to second. Who picks up the ball and throws it to What. What throws it to I Don’t Know. I Don’t Know throws it back to Tomorrow—a triple play. Costello: Another guy gets up and it’s a long fly ball to Because. Why? I don’t know. He’s on third, and I don’t give a darn! Costello: I said, I DON’T GIVE A DARN! Much has been made of the profound impact Watergate had on American society. Pre-Watergate Americans had a great deal more faith in their leaders and the countries institutions. With the downfall of President Nixon, the wool was pulled from the country’s eyes and we started to become the much more cynical society we are today. I came of age amidst the events of Watergate, and as a by-product, much of my life has been lived in juxtaposition. At an early age, it was instilled in me that our leaders, and others in positions of authority, knew what they were doing. I was taught that America was a meritocracy and as such the best rose to positions of leadership. To this day, I still have remnants of that belief. However, time and experience have served to undercut that belief. Leaders are ultimately shown to be just men and woman, and as such often act in a manner indistinguishable from the most foolish of people. I was several years into adulthood before I was fully able to grasp that realization. And to this day I still rankle a bit when confronted with evidence of leaderships clay feet. In 2007, I knocked on doors for Mayor Briley as part of his campaign for Mayor. In talking to him at that time he seemed like a highly intelligent fellow, with a pleasing demeanor – someone with integrity whom you could talk to and would listen. In my estimation, he’d be a good mayor for Nashville. Unfortunately for Mr. Briley the rest of Nashville didn’t agree with my assessment and Briley got trounced, coming in 5th behind Karl Dean, Bob Clement, Howard Gentry, and Buck Dozier. In 2018 the wheels fell off Nashville politics when then-Mayor Megan Barry was forced to resign after pleading guilty to felony theft, a by-product of an illicit affair. As the serving Vice-Mayor Briley assumed the role of Mayor and has since proven that the voters of Nashville might have known something when he only garnered 10% of the vote in 2007. Briley’s response to issues with Metro Nashville Public Schools and its current leadership has done nothing to dispell that impression. Over the past several months, several lawsuits involving the handling of sexual harassment have been filed against MNPS. Most have been settled in favor of the plaintiffs. Several audits have been recently completed that reveal, at minimal, questionable financial behavior by the district and a human resource department actively contributing to a toxic culture. The number of schools on the state priority school list has grown to 21. Student discipline issues continue to grow unchecked and in a recent self-evaluation the director, Shawn Joseph, gave himself a 2 out of 4 in the realms of student achievement and closing the achievement gap. All of his comes in front of the backdrop of constant media attention around miscommunications, poorly implemented district initiatives, and state interventions. Dr. Joseph’s license is currently posed to be suspended for a year pending the outcome of a requested hearing over failure to properly report discipline issues. But that is not the only time the state has had to intervene over the last 3 years. MNPS previously failed to follow state licensing requirements for administrators. The state has repeatedly had to check the district on its rigor in addressing priority schools, the latest action being to force a leadership change at a listed district middle school. The district has also failed to comply with the spirit – if not the law itself – of newly enacted dyslexia legislation when it recently reported to the state that it was providing no students with dyslexia services. MNPS is also not in compliance with the state with regard to student suspensions. Put together, that’s enough smoke to signify that there is a fire probably burning somewhere within proximity. After 2 years, of pretending that the offenses were anomalies, the school board is starting to recognize the need to address the situation. A move that is being applauded by parents and teachers, but apparently not by Mayor Briley. He still thinks it racial inequities that are holding back MNPS students, and not failed leadership. There is no doubt racial inequities exist, but this administration has done little but raise those issues to a conversational level. A conversation that focuses more on race than it does poverty. As a result, we have a disciplinary plan that demands those who can least afford it be willing to sacrifice needed instructional time in order to focus on implied bias over trauma infused behavior. Trauma caused by students exposure to poverty. A policy without supports that is serving nobody well. A few different decisions? Like what, not to break federal law? Maybe he’d decide to follow state law? Board policy? Let’s be clear, we are passed the realm of a few bad decisions and squarely in the land of gross incompetence, and perhaps even a pattern of criminal activity that begs the question of intent. Supporters of Dr. Joseph bristle when you raise the specter of criminal activity and cite a racist motivation for even considering that narrative. To justify such questions I would pull back and look at things from a 1000 foot view. Nothing happens in isolation. No conversation about conduct can be conducted without considering former Baltimore Superintendent Dallas Dance and his recent conviction of failing to disclose financial gains. Prior to his being charged, Joseph often cited Dance as a friend and a mentor. Dance was brought by Joseph to Nashville as a member of his transition team and was often seen at board meetings in Joseph’s first year. The same companies cited in Dance’s sentencing documents are ones that MNPS entered into agreements with upon Joseph’s arrival. Several of those companies – Performance Matters, Discover, ERDI – have contracts that are now being phased out. One of Dance’s chiefs and now interim Director of Baltimore Schools Verletta White also failed to disclose fees earned through her work with ERDI. She was given the benefit of the doubt when she claimed that failure as an honest mistake. Seems those kinds of mistakes are often committed by those who do work for ERDI. Nashville Chief Academic Officer Monique Felder, formerly of Prince George County Schools, also failed to correctly report her earnings through ERDI. The scope of the audit was 2 years, ending in 2017. It did note that a previous audit completed in 2014 had identified 23 deficiencies. Of those 23, only 9 have been addressed since the audit was delivered. If that all sounds familiar, it should. A recently completed Metro Nashville audit found MNPS, under former Prince George County number 2 Shawn Joseph, guilty of committing many of the same infractions. Defenders of Joseph claim these infractions were inadvertent mistakes made by an inexperienced director. But if you look at the whole picture, does that defense hold up? When does ignorance become willful ignorance? How many of the transgressions are honest mistakes and how many fall under purview intentional practice? Briley has threatened to write a memorandum of understanding for the school board to sign and indicated he plans to tie future funding to that MOU. A move that is problematic on a number of levels, not the least being the precedent it would potentially set for future school boards and MNPS budgets. In reality, there is little Briley can do to the board because of legal restraints and without exposing himself to political risk. As Mayor, he submits a budget for the city’s Metro Council that includes funding for the school district. Ultimate budget approval comes via Metro Council, albeit influenced by the mayor, who also have the ability to amend the budget. Does it really benefit the mayor to attempt to strong-arm Metro Council into denying appropriate funds to MNPS in an effort to appease the minority caucus? Many of them will be running their own re-election campaigns this summer. Is he going to appeal to the Governor and mount a campaign to create mayoral control of MNPS? That might prove problematic as well. Right now all of this reeks of pandering, and I’d tread carefully if I were the Mayor. Pandering has a tendency to backfire. Between Friday’s press conference and this weekends cherry tree fiasco, mayoral challenger John Ray Clemmons has seen his campaign suddenly start to gain traction after months of failing to do so, Teachers have been galvanized into action by the school board courage in asking for a budget that funds what MNPS needs and not what the mayor might deem can be afforded. The mayor claims that he only knows what he knows through what he reads in the paper – which has been decidedly slanted – and what he hears from board members. I’d offer this advice to the Mayor, make sure you are talking to current board members and make sure you are talking to all board members. Also, if you are going to become more involved in the school board, maybe study up on the policy book. 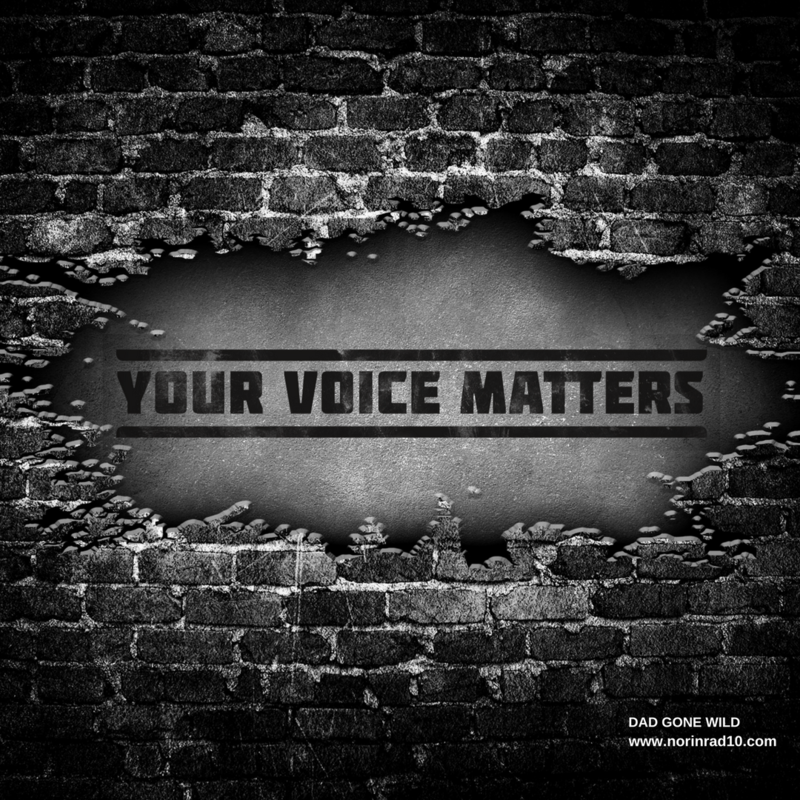 That “one voice” thing – not really a policy. Right now MNPS is a beleaguered system. Teachers are tired. Families are tired. Students are probably a little tired as well. It’s time to bring some hope and change to the system. Briley has a very important role to play in this. He has an opportunity to lead, but not if he continues to favor one of the constituents over another. Not if he continues to try and bully instead of healing. Teacher’s need to know that Briley hears them and that he values them. The same way police and fireman need to know that he hears and values them. School board members were elected to their positions and Briley needs to recognize that democratic process. It’s times like this when true leaders rise to the surface. It’s getting to be that time of the year where principals start heading to other pastures. So far we’ve heard that Robin Elder will not be returning to Sylvan Park ES. Cumberland ES principal Carolyn Cobb has indicated that she plans to retire at the end of this year as well. Both were hires of Dr. Joseph in his first year. Rumored, but unconfirmed, Todd Irving will be leaving Joelton Middle School. A school continually plagued by high turnover. Jere Baxter, who also suffers from continually revolving leadership, will also be opening the principal application process. Current Stratford HS principal Mike Steele is a finalist for the job as principal of Cookeville HS, a school with an enrollment of 2,300 students and a staff of 160 teachers. There are a couple other changes winding their way through the rumor mill and we’ll update you as we can. Next week Metro Council will begin to entertain nominations for Will Pinkston’s recently vacated seat. That doesn’t mean that the political class hasn’t already identified their preference. That preference appears to be Matia Powell. Powell is the current Vice-President of Community Engagement at Alignment Nashville. She previously worked in communications at MNPS and something we have in common, she serves on the NECAT board. Seeing as Powell is a black woman it is hard not to see things through a cynical eye. She is certainly a well-qualified candidate but hopefully, her nomination is not being put forth in an effort to appease. South Nashville is home to a diverse population that is chronically under-represented in metro government. Care needs to be taken that we pursuing true equity when making this appointment. Former MNPS EL Director Kevin Stacy has also expressed interest in pursuing the appointment. Stacy’s knowledge of English Learner issues could be extremely beneficial in an area made up of large populations of Hispanic and Middle Eastern students. Stacy is currently employed as director of EL for Clarksville Schools. I’m sure more candidates will come forth when nominations are officially opened next week. Word on the street is that Rochester, New York, is looking for a new Superintendent of Schools. Rumor also has it that a certain MNPS administrator is very interested in that position. Who knows they may even need a diversity officer as well. 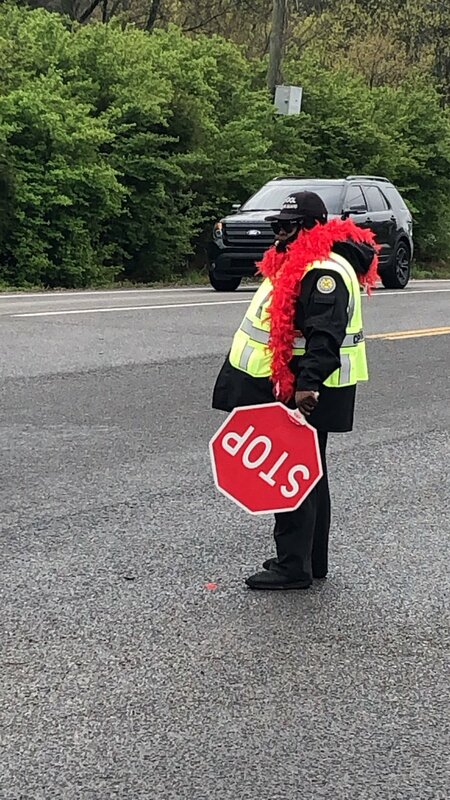 Even the crossing guards are getting into the swing of advocating for the Mayor to fully fund MNPS schools. Looking good! There is getting ready to be a battle going on tomorrow. 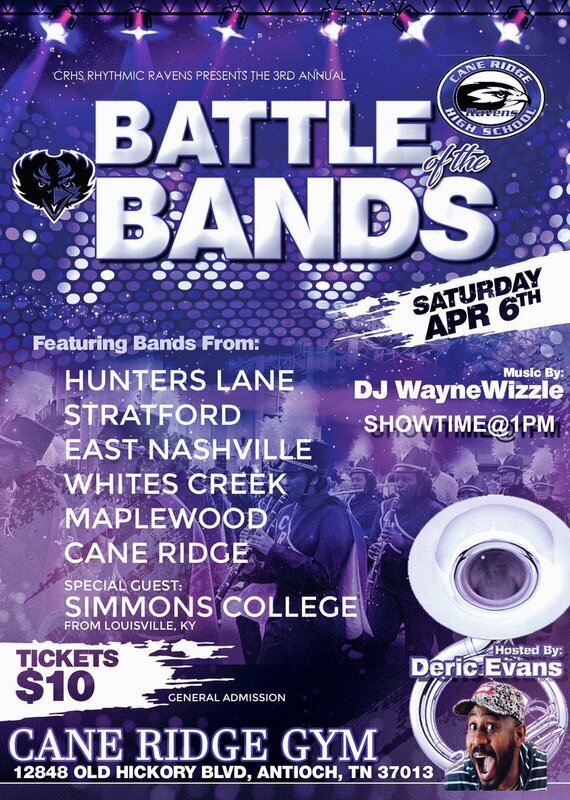 If you can, come out and support the hard work of these students and may the best band win. Join us at the Heart of Green Hills Festival & Community Day on Saturday, April 13 at Hillsboro High School from 9 a.m.- 2 p.m. This is an event for the whole family & includes a community yard sale, kids zone, blood drive & free health screenings. Some promising news on the state level. Amid some concern over the impact the governor’s proposed ESA legislation will have on the state BEP, the bill was rolled in the house finance committee this past week. That’s a glimpse of sunlight in a bill that seemed unstoppable. Word also has it that the Senate is balking at taking up the bill until it’s been passed in the House. In the past they’ve passed a voucher bill, only to see it die in the House. They’ve grown tired of that tradition. Let’s keep the pressure on. It’s truly a horrible bill. In what passes for good news today, the Governor announced a return to paper test for one year. Zack Barnes latest questions the value of the board seeking independent counsel for the dissolution of Dr. Joseph’s contract. I think he’s not alone in wondering about the necessity for this action. The dissolution of an employment contract is fraught with potential negative ramifications. It is not a simple matter of merely being given a figure by the employee and writing a check. There is a determination of what a fair number should look like as well as the inclusion of protection against future legal actions by either party. That’s another one of the lessons life has taught me, don’t depend on the perceived goodwill of others to preserve your financial security. Get yourself a lawyer who cares about you and you alone. That’s what Frogge is proposing. I would think that in light of the mayor’s recent public comments about the board not being able to see things through a “racial lens” this would become an even bigger imperative. Why take the risk when we are only talking a couple thousand dollars to guard against the potential loss of millions? This past week the Nashville music scene lost two of its brightest souls. Scott Belew was the drummer for the Shazam and a dear friend. It was hard to be in his presence without breaking a smile. I’ve many a fond memory of our escapades together and he will be sorely missed. Michael Johanson long time bass playing stalwart of Nashville was tragically struck and killed by a train earlier in the week. He was a good one and his departure will leave a hole in the Nashville music scene. Tennesse is looking at legislation that could be harmful to volunteer voter registration drives. This is concerning to say the least. Charlane Oliver is the co-founder and board president of The Equity Alliance. Her recent op-ed is a must read if you want to know more and what you can do to protect voting rights for all. When I saw the seat filler was going to be on the racist misogynist Phil Williams hour (as that is what clearly a man doing his job is when it is about those people we like to like so promptly label and ignore him. If Mike Wallace was alive today what names would be he be called… I got a few but I have an expansive vocabulary) I thought I better pull out the hard stuff as usually I end up spitting out the wine with each revelation. I do call this my “story” night as soap operas have less drama… but I actually busted out laughing. It was HEELARIOUS HEE HAW HEELARIOUS. So the Seat Filler has never read the Bone McAllister report, a firm where he worked and has I assume numerous contacts. Nor read any audits from the very City Employee who prepared said report and has since prayed the lazy away and is leaving for greener pastures after his stellar career clearly showed problems in doing said job. Then we have a Seat Filler who has never spoke to the entire ELECTED board, nor actually engaged that panel he was forming to come to some conclusion, file a report or well do anything. So his entire knowledge on the subject is from the news and which he has called fake or biased or a witch hunt. Oh wait I am confused. Was a summary of said report produced where someone on the Seat Fillers staff summarized the summary to make it an easy read say while on the treadmill? Clearly this is a man with his hands firmly on the wheel and the in turn makes threats idle or not to shut it down right now by withholding funds, building a wall around Joseph’s office or firing all the Board that was elected by constituents whom he has had lengthy in depth avoidance of unless its photo op time. Democracy Maduro/Trump/Kim/pick an Autocrat. And well when one is from an Autocracy here in the South they are right when they are wrong and they are never wrong. Circle that around the jerk. Agree there is a glimmer of daylight on ESAs given the size of the fiscal note but it looks like the leaders will put screws on the reps. They all think this puts the pinch on the urban districts and they _want_ that (what’s new but it makes your heart hurt). Of course it’s just a coupon for private school families and won’t be doing anything for “choice”. God help us if this passes. The dollar drain we feel now will be millions and millions worse if it does. Get out there and wear red.